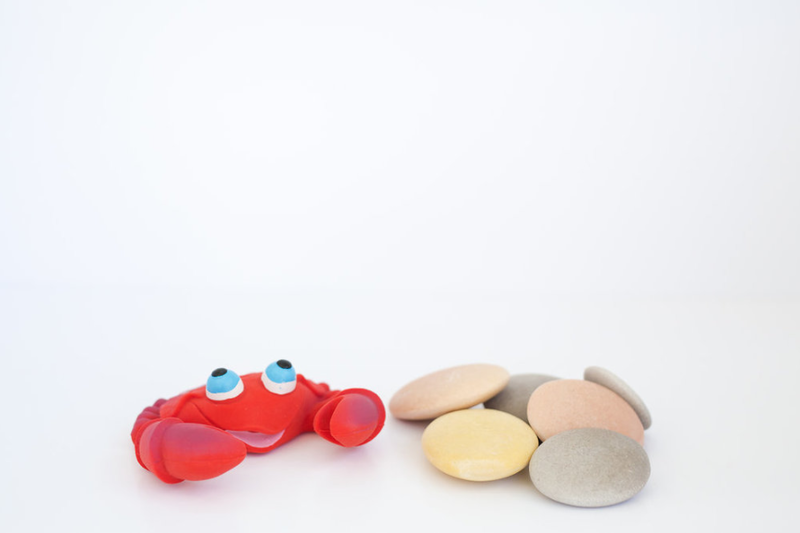 A brightly coloured, organic Lanco rubber toy – great for grabbing and teaching littles about floating objects. 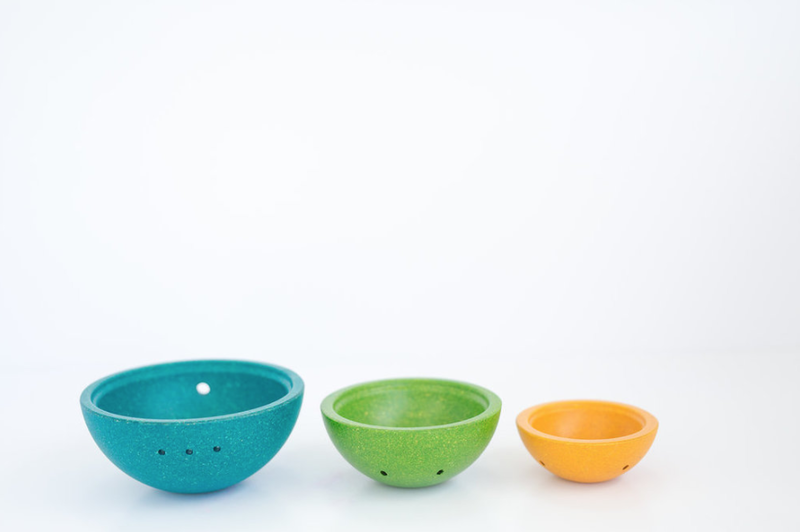 The amazing Fountain Bowl Set from Plan Toys – water flows from three different cups at different speeds so that your Little Splasher can explore water flow. A smooth, natural stone pebble – drop it into water and watch it sink. The gorgeous book, “Splish Splash Pop up Fun” which has been handpicked by the lovely Jenny over at Smallprint to complement the learning opportunities in this box – the perfect way to end water playtime.